Permits: Required. Can obtained here. 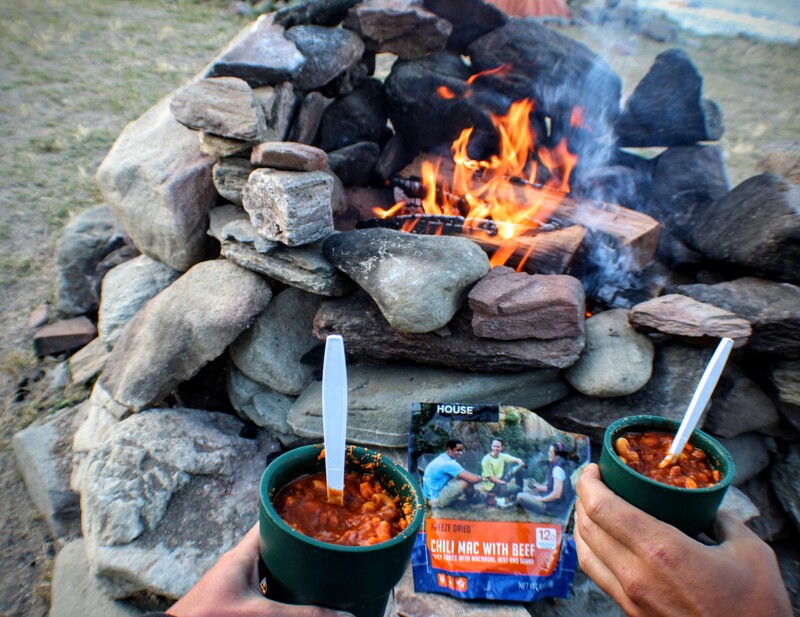 Campsite Reservations: Required. Reserve here. 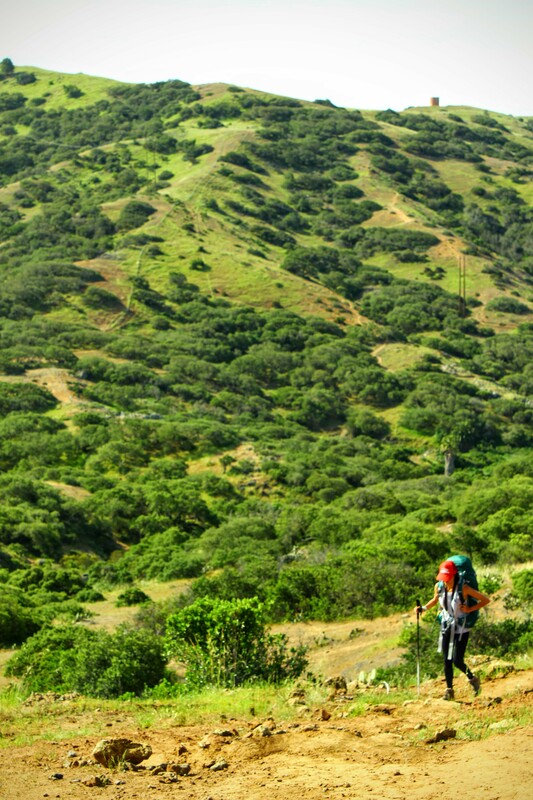 This is a shorter version of our journey on the Trans-Catalina trail. A detailed version can be found here. 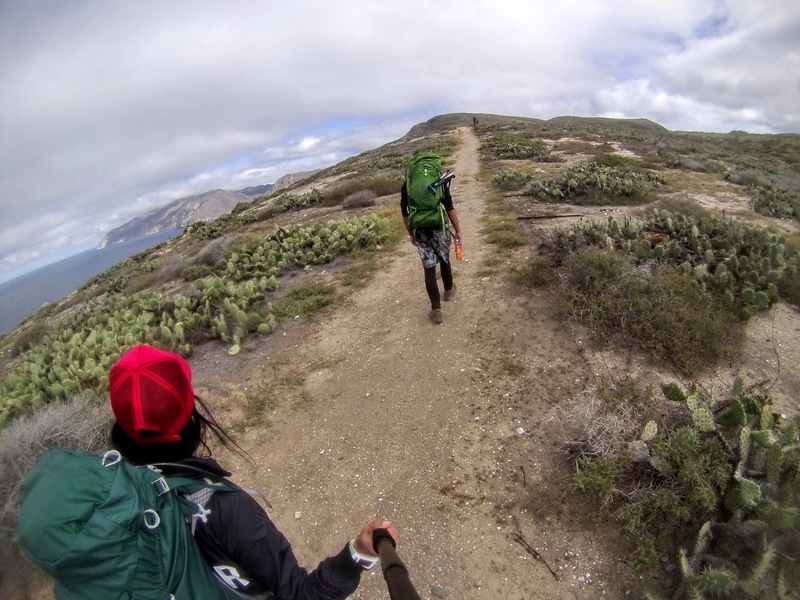 The month is April of 2016 and we are excited to finally complete the Trans-Catalina Trail, roughly 34 miles of open land crossing the entire length of Catalina Island. We allowed ourselves some time to shoot and take in the scenery and officially completed the trail within 5 days. Starting in the small town of Avalon, we officially set foot on the trail sometime before noon after picking up our permits and confirming our camp reservations. The Spring weather was just perfect for an island hike, yet we had approximately 15 miles to our campsite. I very much remember the trail being hot with absolutely no shade. We took our time, lost daylight and still had about a mile left to camp. It was a little creepy hiking in the dark, but we were prepared with headlamps and a flashlight. Besides, I was excited to finally get out of the sun and the moon was nearly full that night. We arrived to camp and were the only ones there that night. After nearly 17 miles and 6 hours of hiking, we were so tired we set up and went to sleep without having dinner. We knew we had another long day ahead and decided it was best to get some rest. The next morning, we woke up to Buffalo roaming freely around the campground. They kept their distance, as did we as we prepared a small breakfast before breaking camp. By 8 AM we were all packed up and ready to hit the trail. We have 7 miles to Little Harbor, but we stopped at the Airport In The Sky for a lunch break and some burgers. It was the perfect little stop to refresh, use the restroom and get a fresh bite to eat. We must have spent a little more time at the airport than planned and by noon we were back on the trail. We saw a buffalo bathing at Buffalo Springs and had to stop to get some photos. The remainder of the hike to Little Harbor was very green. We were able to see the other side of the island and we were excited to finally camp on the beach. 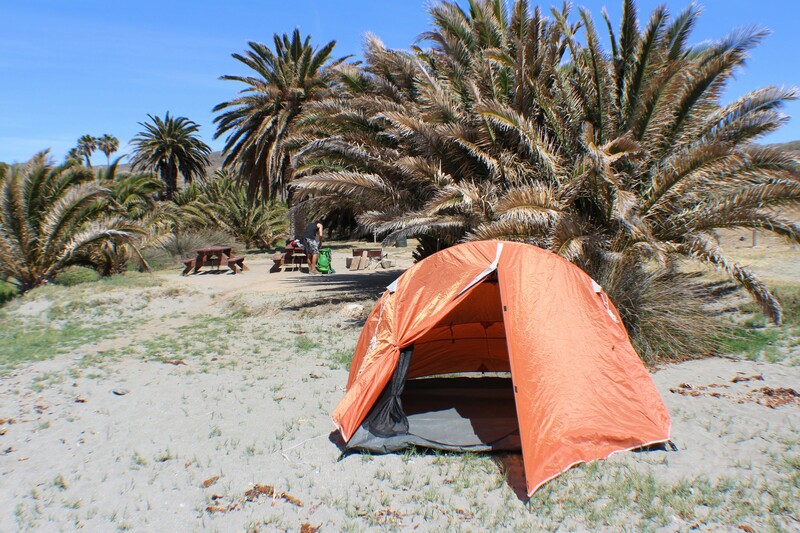 Black Jack campground is the only campground not located on a beach. At mile 21 we officially reached Little Harbors. Our campsite was basically right on the beach and we had an awesome ocean view. The only problem, pincer bugs! We did not notice them until the next morning when we were packing up, but there was a lot! Since we arrived at Little Harbors we basically had an entire day to spend exploring or resting. We decided to check out Shark Harbor which is right next to Little Harbor. We shared lunch while watching the sunset and called it another early night. We woke up early after an early night knowing we had another big day ahead of us. Probably the biggest day yet hiking into the remote town of Two Harbors then hiking to our final campsite, Parson’s Landing. We didn’t eat a big breakfast that morning because we knew we were going to pig out in Two Harbors. That was a bad idea. The hike out of Little Harbors was insane. Everything about that section of the trail, insane. The views, the gain, the clouds! It was so worth getting an early start, however my tummy was growling! As soon as we made it to the table on top of the hill, we stopped to rest our legs and take in the views. That was a climb but the views were so worth the effort. We arrived in Two Harbors around 1:30 PM and sat down for lunch, burgers and corn dogs. We were exhausted but we still had another 7ish miles to camp. Parson’s Landing is by far my favorite campsite on the island. I have backpacked to Parson’s Landing from Two Harbors a few times prior to hiking the TCT. The official trail to Parson’s Landing from Two Harbors is steep. I’ll admit, we probably had too much to eat during our time in Two Harbors, so we opted for the West End Road instead of the TCT. We would still complete the TCT by hiking that section on our return from Parson’s Landing. The hike along the West End Road is pretty flat. Although some of the coves are huge and pointless (in my opinion) and can take some time to hike around. We enjoyed the perfect sunset hike to Parson’s Landing and we arrived just before we completely lost daylight. Super excited to finally have a campfire, we set up and prepared dinner. We would be camping at Parson’s Landing for two nights while we completed the remaining of the trail to Starlight Beach the next day. 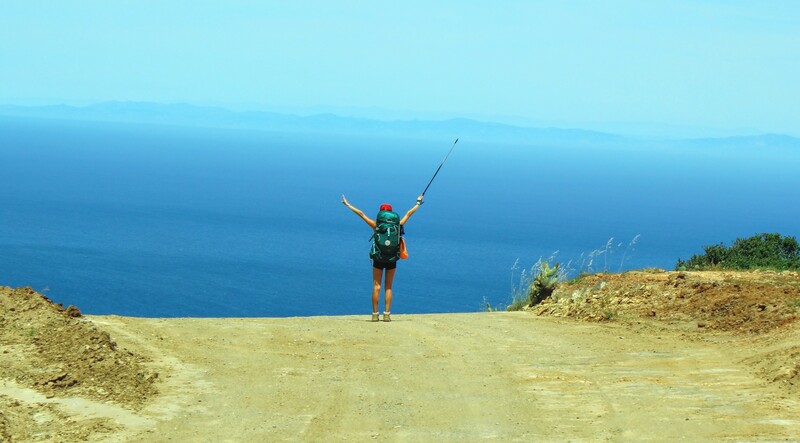 Today, we officially complete the Trans-Catalina Trail. As of 2017, the Trans-Catalina trail now ends at Parson’s Landing. We had the pleasure of hiking to Starlight Beach before this change. Approximately 5 miles to Starlight Beach but no camping is allowed. We have to hike to Starlight Beach then back to Parson’s Landing. This didn’t seem too bad as we were able to leave our gear at camp and hike to Starlight Beach without heavy packs. We did pack some water, lunch and celebration goodies for the hike there. It was a beautiful day and there were a lot more people heading to the island being a Saturday. We got an early start and made it to Starlight Beach, Mile 38 within 2 hours. What an accomplishment! We headed down to the black sand beach and celebrated in our own way before preparing lunch. On our way back to Parson’s Landing, we ran into a few other hikers who have also just completed the TCT. 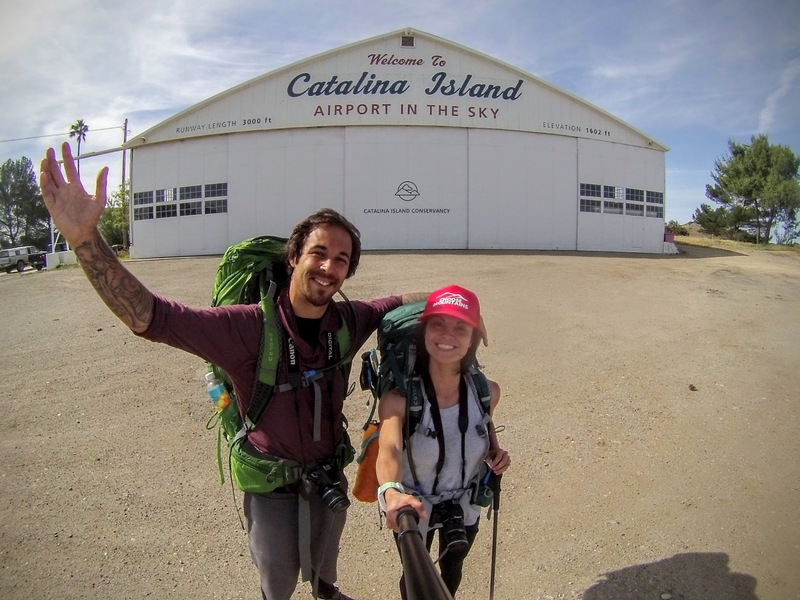 We spent the remainder of our time resting our legs at Parson’s Landing knowing that even though we completed the Trans-Catalina trail, we still had to hike back 7 miles to Two Harbors. After spending 4 days on the TCT, we reached our last day on the trail. We were ready to finish but we still have to “complete” the last section hiking into Two Harbors. We got a later start than usual knowing that when we got to Two Harbors, we would be camping on the beach and relaxing for our last day on the island. That last stretch was difficult. But again, the views were so worth it. 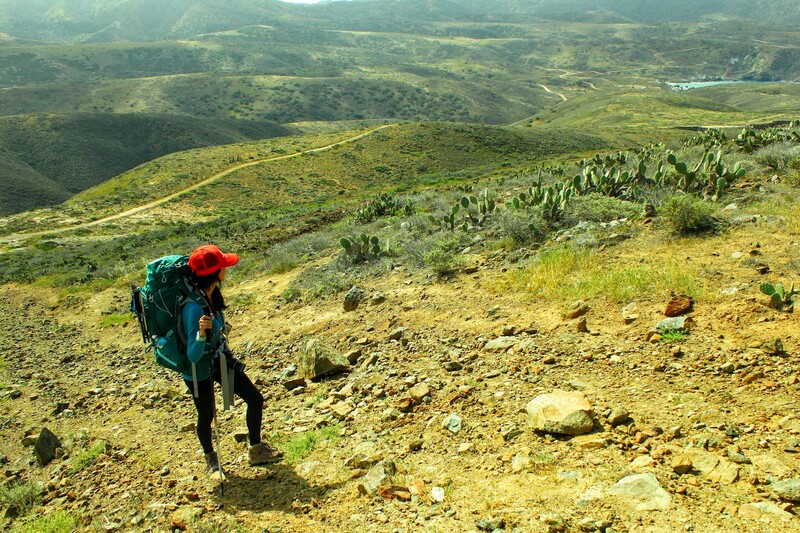 At one point that morning, we were hiking above the clouds, yes in Catalina! We arrived in Two Harbors around 11:45 AM. 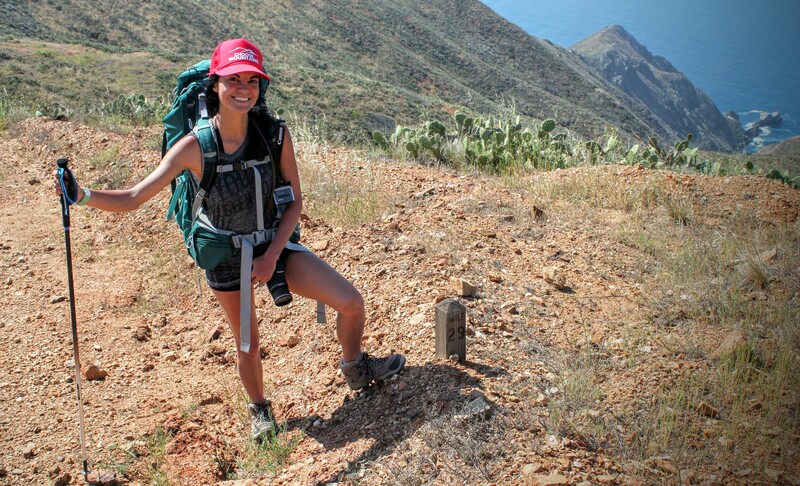 officially completing the Trans-Catalina Trail! 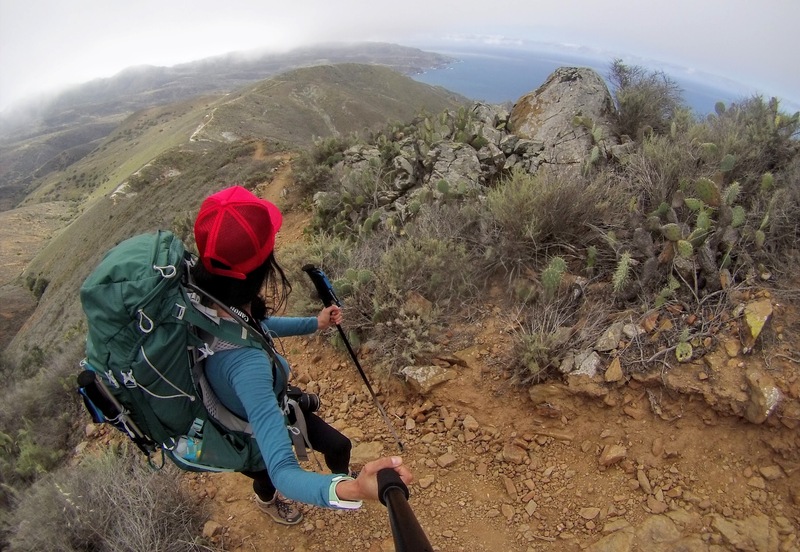 Vanessa is an outdoors enthusiast, hiker at heart, and the storyteller behind Forever She Wanders; a women's lifestyle + travel blog inspiring all to get outdoors, seek adventure and live an active lifestyle. As an outdoors enthusiast, Vanessa has found passion in being outdoors while backpacking, camping, hiking and creating memories of a lifetime.